Neuropsychological reports-What you need to know NOW! There are several domains of cognitive functioning, such as attention and memory, and each of these can be selectively or jointly impaired. Cognitive functioning or cognition refers to the processing of information by the brain, and can be described as a person's ability to think, concentrate, formulate ideas, reason and remember (Gray, Forell & Clarke 2009). Executive functioning (which includes tasks that help people learn new information, remember and retrieve information, plan, make decisions, and use information to solve problems). Each of these domains can be selectively or jointly impaired across a range of developmental, neurological, acquired brain injury, mental illness, substance-related or dementia conditions. The term 'cognitive impairment' is used to recognise a broad range of disorders that affect cognitive functioning. Cognitive impairment may be 'hidden' from a worker when a person first enters a program, especially if the person has a mild impairment. 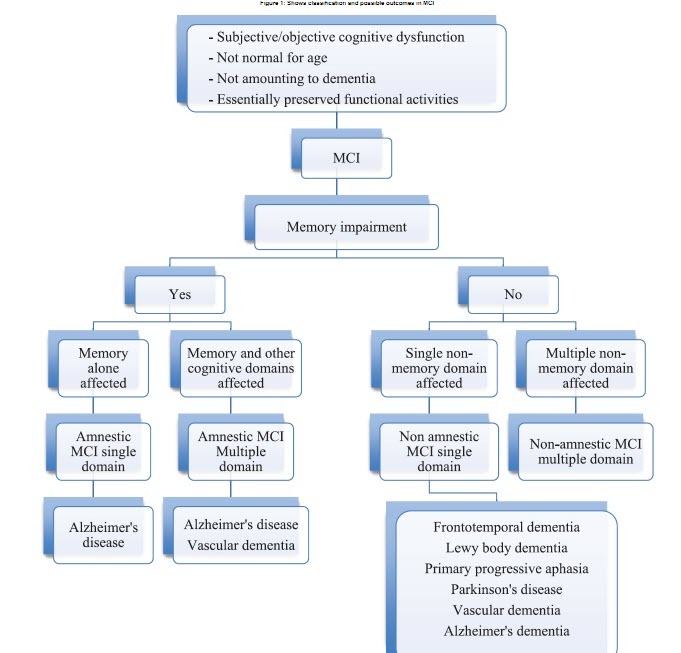 Common causes of cognitive impairment are listed in the following table. The indicators of a person with cognitive impairment are highly varied. They may have difficulties engaging with other people or services, identifying and maintaining suitable work or study, driving a car, carrying out daily activities (e.g. paying bills) or managing basic aspects of self-care. Cognitive impairment rarely occurs in isolation, i.e. without affecting both emotional and behavioural functioning. In fact, behavioural and emotional disturbances often reveal the presence of cognitive impairment. Addressing cognitive impairment through compensatory or remedial approaches may reduce challenging behaviour and emotional distress. 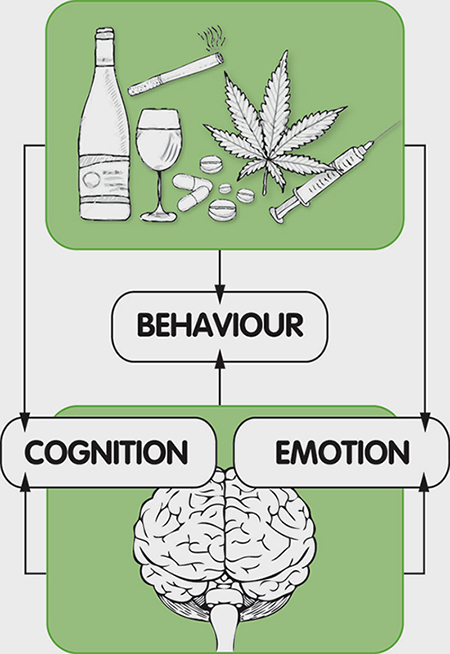 Some people lack the knowledge or resources to cope with their cognitive, behavioural and/or emotional difficulties and use alcohol or other drugs to cope, which often further impairs functioning in these domains. All three factors - cognition (thinking), behaviour (acting) and emotions (feeling) - affect a person's ability to get by in the world. Source: Adapted from Berry (2012). At a broad level, people with cognitive impairment will experience difficulties with adaptive behaviours. These include social, conceptual and practical skills they have learned in order to function in their daily lives (The Arc 2011). Problems with budgeting and managing money. Maintaining a safe living environment. Cognitive impairment is often masked. For most people who come into contact with drug and alcohol services, their cognitive impairment is in no way visible. It's only through observing their behaviour in the assessment process or while they're receiving treatment that we may get clues that they may have a cognitive impairment. Many people with cognitive impairment are very good at hiding their disability. This may be because they want to fit in with everyone else or because they might be very high functioning in some areas of their lives or have very good expressive communication yet have very poor receptive communication. Also, people will have typically experienced discrimination, shame and humiliation as a consequence of being labelled due to their disability. Often if a person is aware they have a cognitive impairment, they won't readily admit to it. Neuropsychological Reports are very important BUT the results should always be seen by a Neuropsychiatrist or Neurologist as often we have seen Psychologist attempt to draw inferences from their own reports which are subsequently dismissed by Neurologists. The areas of affecting judgement and decision making are IQ (understanding), Reasoning and Memory Impairments (Recall and Retain). Cognitive flexibility is also an issue that needs to be addressed. Clock drawing impairments and recall of information are areas to watch out for as the inability to plan is a sign of planning issues and making decisions. Also note severely impaired attention can have a profound affect on other areas which will affect decision making. The whole brain and functioning need to be assessed to determine if a certain area of impairment is affecting the social and physical functioning of an individual. 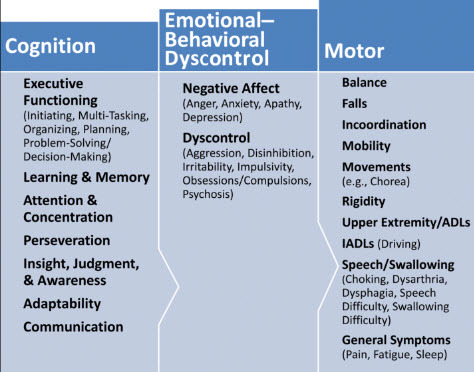 It is possible to have only one severely impaired cognitive domain that will have a profound affect on other areas, even thought those areas are not primarily impaired. Always ask: do these impairments affect decision making? The whole functioning (Social and physical) must be factored. Often physical and language impairments have been used to justify a lack of decision-making capacity. If these impairments are NOT affecting reasoning or decision making then the individual has capacity to make their own decisions. On the other hand, if an impairment affects judgement like frontal lobe damage, then the ability to reason is impaired and a Neurologist will then have to determine the extent the impairment is affecting judgement, IQ and day to day ‘mental’ functioning. Minor damage in these areas can lead to chaos. Delusions, inflexibility, isolation and personality changes. Even if the individual ‘looks ok’. Daily activities (washing, showering etc) are basic functions and not ‘higher’ level functions and do not confuse daily activities with higher level decision making (executive impairment). Executive Impairment is the higher order decision making. The brains ability to co ordinate all the cognitive functions. 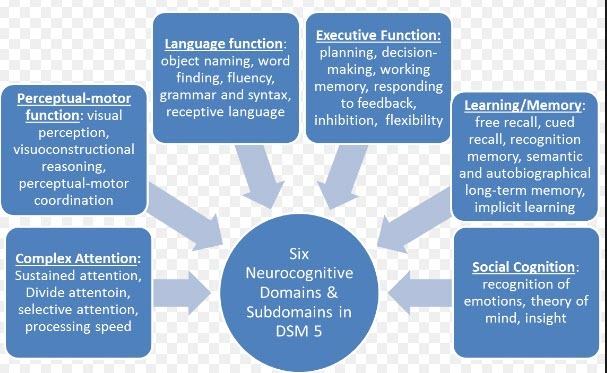 Cognitive functions are the individual domains. Executive Functioning is the most vital domain that affects decision making. This is the area one needs answered as well as memory impairments. Please click on links below for more details. We have seen people with perfect Orientation, Language Skills and NO Memory issues assessed as having a Dementia. Sometimes this is due to pure Frontal Lobe Damage in the Frontal and Orbital area. AASGAA members have explained this a dealing with a 'stranger'. Often Doctors focus on 'cognitive' ignoring behavioural issues. This area must also be assessed. Usually those closest to loved one can provide information and changes. Behavioural changes often lead to breakdown in family relations and the person in question very vulnerable to abuse, exploitation and neglect.